/ Which Water Filters are Best for Removing Lead? Keep reading to find out why lead is so harmful and how you can keep it out of your drinking water. You'll also learn about the types of water filters that are good for removing lead. There's a variety to pick from, so you shouldn't have any trouble finding one that's right for you. You can click on a question in the quick navigation below, or keep scrolling down to read the whole article. How does lead get into the water in the first place? What is considered a safe level of lead in drinking water? How can I get rid of lead in my water? What are the best filters for removing lead from water? Do Brita pitcher filters remove lead? Conclusion: Which filter should I buy? Lead, a heavy metal, has no function whatsoever in human biology. It's a toxin that can cause serious health problems. Exposure to small amounts of lead might not do a lot of damage to adults. But that same amount can do serious harm to infants and children. Lead in pregnant women can also cause premature birth and/or reduced growth of their babies. Adults are affected, too. Lead can cause a whole host of problems, including hypertension, kidney failure, memory loss, and reproductive problems, to name a few. Lead poisoning is not something you want to risk! This video from USA Today illustrates the ways that lead can get into your water. It's a short video, but if you don't have time to watch it, I listed the main points below the video. Water is normally lead-free when it leaves the water treatment plant. Contamination usually happens when the water enters your property. Many homes have lead pipes, or they have fixtures or solder that leach lead into the water. This is especially true of houses built before 1986. Some utility companies add a chemical to the water supply that coats the inside of pipes and prevents leaching. However, vibrations can cause pieces of the coating to break off and enter the water supply anywhere along the line. You can't taste, smell, or see lead in the water. The only way to know for sure if you have a problem is to have your water tested. Most state governments have a link to find accredited laboratories for water testing. You could also ask your local utility if they provide testing services or if they can refer you to a local testing company. There are also home test kits that you can buy from hardstore stores or online, if you want immediate answers. One of the top selling test kits on the market is the First Alert WT1. You can check the current price and availability at Amazon by clicking here. The answer is none. You don't want to have any lead in your water at all. EPA has set the maximum contaminant level goal for lead in drinking water at zero because lead is a toxic metal that can be harmful to human health even at low exposure levels. Lead is persistent, and it can bioaccumulate in the body over time. Got that? When it comes to drinking water, there is no safe level of lead. In fact, boiling can increase the concentration of lead in the water! Eliminating the source of the lead can be difficult, if not impossible, depending on your situation. It may also be cost prohibitive if it means replacing all the water lines in your home. The simplest solution - and the one that most people can afford - is to use a water filter that's certified to remove lead. In choosing a filter for lead, you'll want one that reduces lead by at least 99%. There are several types of filters that will work, so you will be able to find one that meets your needs and your budget. Gravity water filters sit on your countertop, and most are made of stainless steel. You have to refill them, but they can hold a lot of water, depending on which size you get. They utilize some sort of carbon filter, which is excellent for removing lead. The brands that are best for filtering out lead are Berkey and Propur. In my in-depth comparison of the most popular gravity filters, you can see that Berkey filters remove 99.9% of lead, and Propur filters remove 100% of lead. What's great about these brands is that you can put any kind of water in them except for salt water. That means they can be used in an emergency situation when there's no potable water. So they're good for everyday use and as a survival filter. 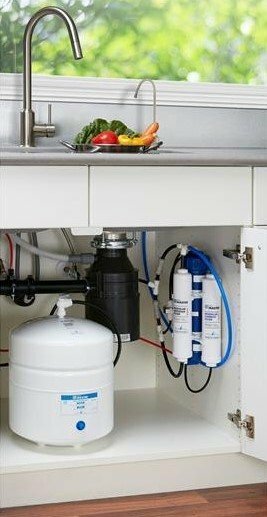 Most reverse osmosis filtration systems do a good job of taking lead out of your water, along with a whole host of other contaminants. These systems have to be installed in your plumbing, and they take up space under your kitchen sink. That could be a negative for you. They also waste a lot of water. That's just the way reverse osmosis works. Contaminants are blocked by a membrane, and those contaminants have to be washed down the drain. If you'd like to learn more about reverse osmosis, please see Best Reverse Osmosis Systems | Reviews & Ratings. Pitcher type water filters sure have come a long way over the last few years! It used to be that they took chlorine out of your water, and that was about it. Now there are quite a few that go way beyond that and can remove many of the worst pollutants. Just remember - they're not all the same. You need to read the fine print to find out which filters work best on lead. Faucet mount filtration systems are inexpensive and convenient. There's no need to fill containers - just turn on the tap and you've got filtered water. They tend to be limited in the contaminants they can remove, and not all of them are certified to take out lead. So, again, check the specifications before you buy. A lot of people like these, but keep in mind that you can't use them with all kinds of faucets. They will only attach to standard type faucets, not the modern pull-out or pull-down faucets. See my post on the best faucet water filters for more information. Distillers aren't technically filters, but they are a good way to purify water. They eliminate many different contaminants, including lead. The drawbacks with distillers are that they require electricity to function, and they are slow. If you need more than a gallon or two of water a day, you'll be better off going with some other method. You can read more information about distillers in general plus my picks for the best distillers for home use here. I see this question a lot. That's understandable since Brita is a well known brand. The standard Brita filter that comes with the various pitchers and dispensers is not designed to remove lead. It reduces lead a little, but not enough to protect you from lead poisoning. But don't throw out your Brita pitcher yet! Brita has a new filter called the Longlast that reduces lead by up to 99%. 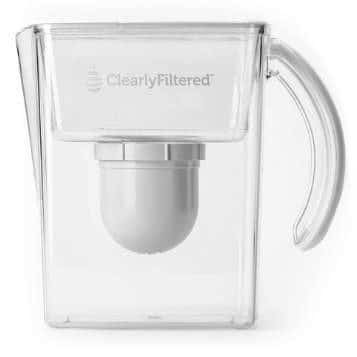 If you already have a Brita pitcher, you can replace your current filter with a Longlast filter. You can check the price and read the reviews at Amazon right here. There is only one pitcher model that comes with the Longlast filter. It's called the Monterey. Click here to see if it's available at Amazon. If you want to be sure that there's no lead in your drinking water, your safest bet is to use a filter like the ones you just read about. the convenience factor - Are you willing to refill containers, or do you want to be able to just turn on the tap? *Remember that all of the systems will need to have their filter elements replaced every so often. You'll want to take that into consideration in calculating the cost. There are plenty of options for you to choose from. So get on it and get one for yourself today. Your long term health might just depend on it! If you need more help deciding which type of water filtration system will work best for you, see How to Choose the Best Water Filter for Your Home.